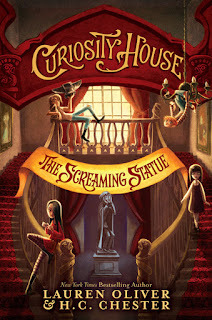 Welcome to this here stop of the Curiosity House Blog Tour! 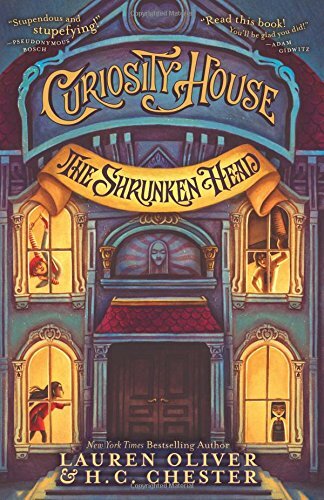 Remember when I reviewed The Shrunken Head, book 1 of the Curiousity House series? 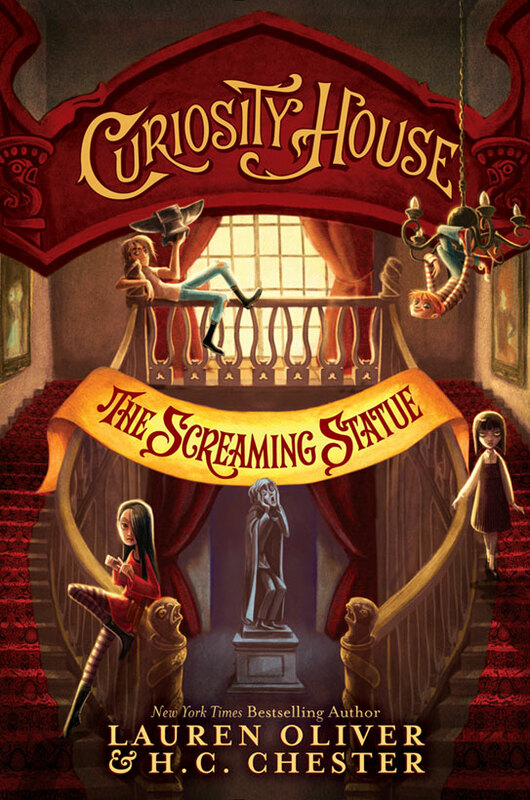 Yeah, well, guess what, you guys: Curiosity House book 2, The Screaming Statue, comes out in just ONE WEEK—awesomeness! And how do we celebrate? Well, I got super lucky and was invited to not only interview the two authors, Lauren Oliver and H.C. Chester, but one of Dumfrey's Dime Museum's residents. 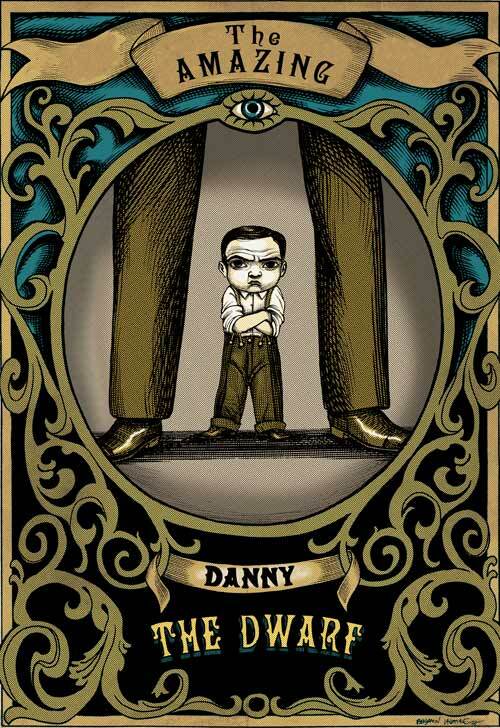 Yep, the ever gruff and tough, but so lovable (ahem, don't tell him I said that), Danny the Dwarf. AND (said in my best game-show-host voice) I've got another sweet giveaway! See below for details! EA: Ms. Oliver, thank you so much for taking the time out of your busy schedule to answer some questions! Let's get started right away, shall we? What sort of research went into the writing of these books? LO: Mr. Chester was an invaluable resource on the research front. He did the heavy lifting with the structure, and historical accuracy of the book, and I was the draftswoman. 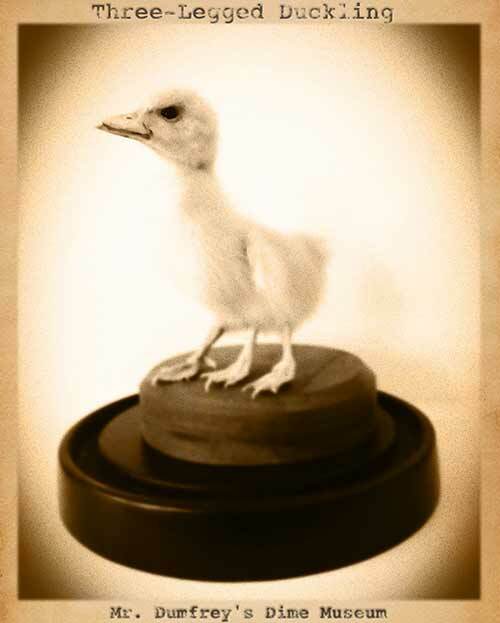 HCC: It is somewhat inaccurate to say that I “wrote the book with Lauren.” I merely provided her with unique access to my extraordinary collection of artifacts, along with my extensive, not to say encyclopedic, knowledge of 19th century dime museums, and Ms. Oliver did the rest. I myself was too busily engaged with the composition of my own volume, A COLLECTOR’S GUIDE TO PRE-COLUMBIAN DINNERWARE, to participate in the writing of the CURIOSITY HOUSE series. EA: Sounds like a wonderful publication, Mr. Chester. But perhaps I could clarify my question: it's no secret that you're a bit of a recluse and that Ms. Oliver is, in fact, the first person to be let in your house in about 25 years. How did Lauren contact you and convince you to help her with her project? HCC: I met Ms. Oliver when she showed up, quite unexpectedly, at my house and explained that she had come across a set of postcards from Dumfrey's Dime Museum in an antique shop in Paris and had discovered that they originated in my collection. She had tracked me down to see if I could supply her with more information. My initial response, as it is when any visitor appears on my threshold, was to shut the door in her face. I was prevented from doing so, however, by my companion, Trudy, who took an immediate shine to Ms. Oliver, which she displayed by wagging her tail vigorously and making happy "bow wow" noises. Deferring, as I always do, to Trudy's instincts, I invited Ms. Oliver inside and the rest, as they say, is history. EA: Would you consider assisting in the publication of other books after this experience? What would you write about? 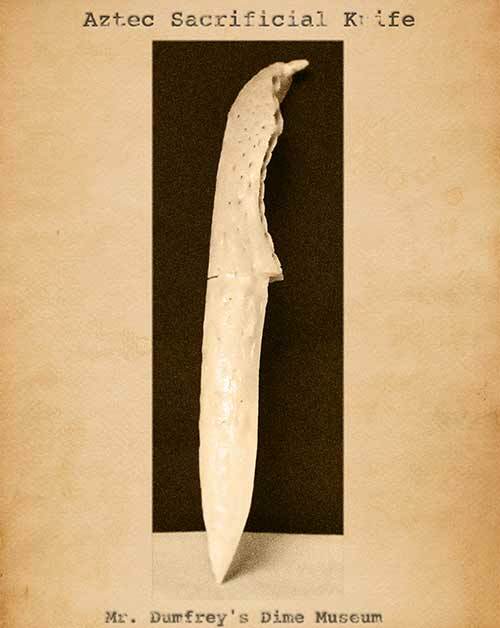 HCC: Once I have finished researching and writing my definitive study of the Lost City of Atlantis, I plan to embark on a project that I believe will be my magnum opus: a cross-cultural study of the evolution of fingernail-clipping devices from prehistoric times to the present. EA: Fascinating! Well, I'm glad you shared your collection and expertise. Ms. Oliver, that is amazing that you found these artifacts in Paris. Do you enjoy traveling? What's your favorite place to visit? LO: Paris is a very special place to me, and I go there often. I always love going back. EA: If you could travel to any time or place, where would you go? LO: I would love to time travel to 1960's Paris, with today's currency, and get all kinds of Parisian couture for next to nothing! EA: Have you ever had some sort of awesome collection? LO: I collect cozy/funny/pretty mugs! I'm a caffeine addict, so I like to start my day with something pretty adorable. EA: Best way to start the day! What about you, Mr. Chester? What does a day in the life of H. C. Chester look like? How do you prefer to spend your time? 6 AM. Rise. Walk Trudy. Wash face, brush teeth, comb hair (Trudy’s). Wash face, brush teeth, comb hair (mine). 6:30 AM. Eat breakfast with Trudy. Kibble (for her). One soft-boiled egg, Melba toast, weak tea (me). 7 AM. Read newspaper with Trudy (she doesn’t actually read but she enjoys hearing the headlines). Noon. Wake up Trudy. Walk Trudy. 12:30 PM. Lunch with Trudy. Kibble (for her). Watercress sandwich on white toast with crusts removed (me). 1 PM-3 PM. Nap with Trudy. 3 PM. Wake up with Trudy. Walk Trudy. 3:30 PM-6 PM. Organize, dust, and spend time admiring my collection of rare and exotic artifacts. Make absolutely certain that everything is arranged on shelves in precise order so as to avoid massive anxiety attack caused by slightest evidence of untidiness. 6:30 PM. Dinner with Trudy. Kibble (for her). Boneless, skinless chicken breast, boiled new potato, iceberg lettuce salad (me). 9 PM. Walk Trudy. Give Trudy her goodnight dog biscuit. 9: 30 PM. Kiss Trudy goodnight. Sleep. EA: Wow! That was very...in depth. Thank you, Mr. Chester. Let's focus back on the book. 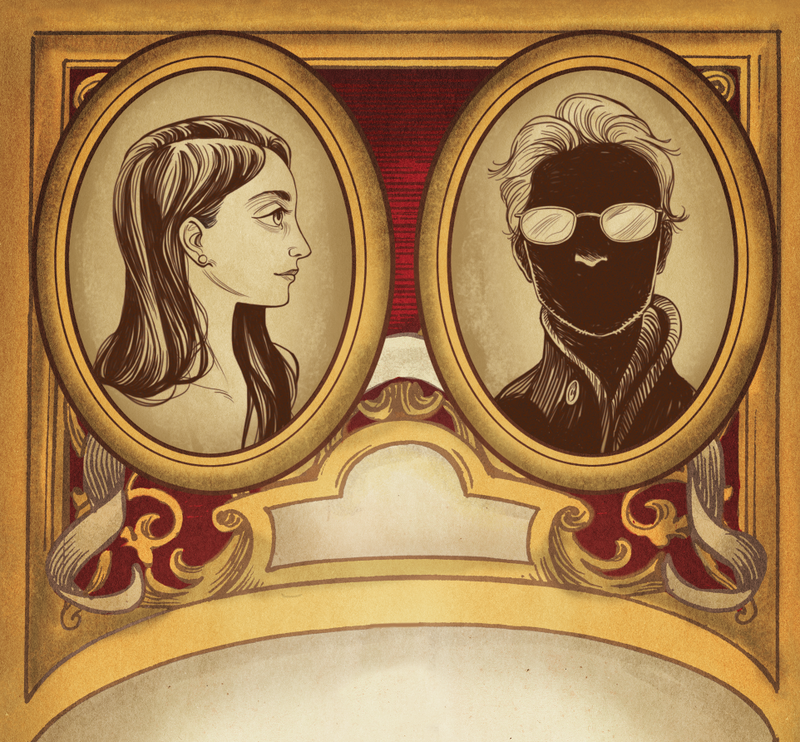 Ms. Oliver, do you have any hidden talents that would qualify you for Mr. Dumfrey's museum? If not, what special skill or feature do you wish you possessed? LO: Hmmm, I can do some pretty cool strength moves, but the museum already has Sam, who is a much better strongman than I am. I do wish that I could teleport. It would let me sleep in so much later on tour! EA: As for actual residents of the museum, who do you love more, Smalls or Danny? LO: How can I pick? I love extraordinary humans of all sizes! EA: How about you, Mr. Chester? Do you love Phoebe or Betty more? HCC: Pardon me? I only have eyes for one female. Hint: she loves kibble! EA: Hi, Danny. Thanks so much for doing this interview. 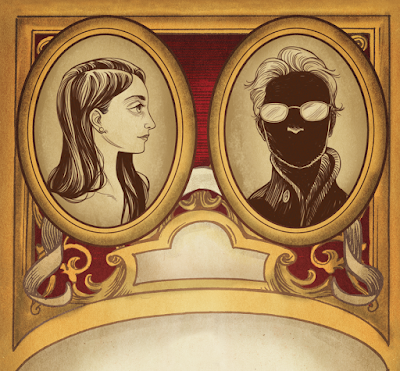 Tell me a little about your history: How did you come to work for Mr. Dumfrey and his museum? What were you doing previously? DD: I used to be out on Coney Island, in the Lilliputian Village, but I got into a fight with one or two guys thought I was too tall for a dwarf! The nerve. After that I came over to Mr. D's. So has your height ever gotten you into some trouble? 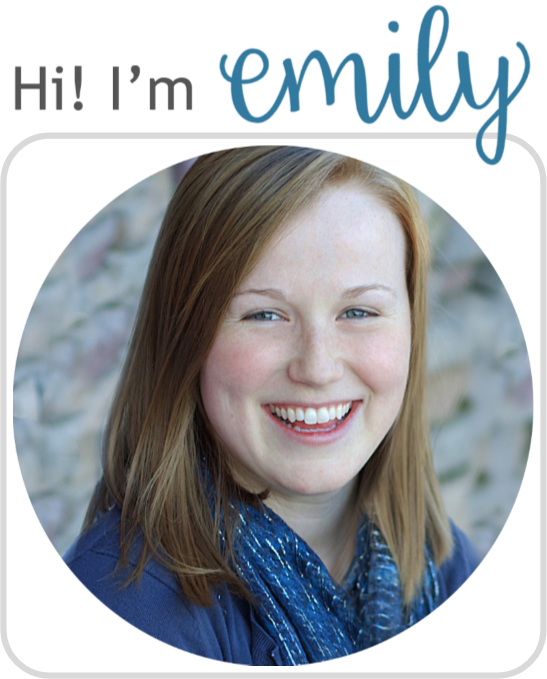 How about a time where you were grateful for your small stature? Oh, sure. Like I said, in the Lilliputian Village I was always getting in trouble for being a few inches taller than the other guys. It did a number on my posture. I was always hunching over. No one messes with me, otherwise. Tough things come in small packages. I'll bite a knee cap, if it comes down to it. No one likes a bitten kneecap. So now that you're at Mr. D's, what's your favorite thing to do in performances? I love tooting on my old back pipes or striking up on the violin my granddad gave me. Who cares if it's a freak show? To me, it's Carnegie Hall! Yes, I've heard you play quite the assortment of instruments. How many do you play? Which is your favorite? I can play the lot of 'em--bagpipes, flute, piano, violin, viola, and even a little trumpet, when I'm feeling brassy. But the violin's my first and truest love. I been playing since I was a wee lad. And, just for fun, what's your favorite treat at the concessions stand? I'm a fan of the Jelly Rings myself. I dunk them right down into my tea. Dee-licious. Well, there you have it folks. Some awesome interviews with some awesome people. Check back in tomorrow to get my review of The Screaming Statue. 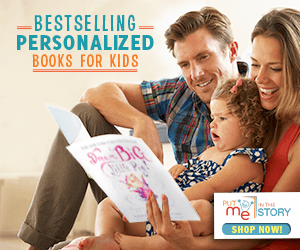 Plus, don't forget the other blog tour stops: yesterday, Middle Grade Mafia shared their interviews and check in with Unleashing Readers tomorrow. AND (yes, game-show-voice again) here's the best part of the post! 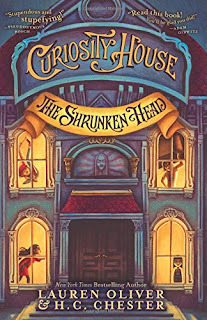 Enter to win a copy of The Shrunken Head AND The Screaming Statue, as well as a deck of cards featuring all of Dumfrey's star residents. Open to the US only, ends 5/3/2016. No purchase is necessary. Void where prohibited. We and the publisher/publicity department are not responsible for lost, stolen, or damaged items. If you are under 13, please get a parent or guardian's permission to enter. Winner will be chosen randomly via Rafflecopter after the contest ends. Winner will have 48 hours to respond to to the email, otherwise we will pick a new winner.